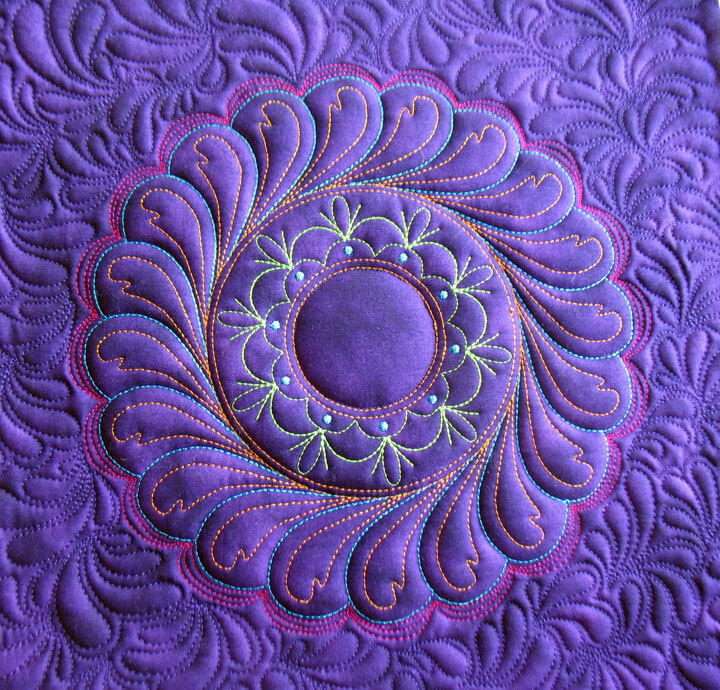 I got some great news this weekend when I found out that My Thistle Garden won the Best Machine Workmanship Award at the Asheville Quilt Show! I am utterly thrilled to win this award because the Asheville show is a great show with loads of beautiful quilts, so winning this award is really an honor. To celebrate, we’re putting all of our Patsy Thompson Designs products on sale at 20% off through 9 am EDST on Friday, October 10th. To get the discount, just enter celebrate in the discount code box during checkout. The discount will not show up until the very last page during checkout, but it’s there! The downer news is that our new warehouse manager, Michelle, will be leaving so we have decided to liquidate all of our inventory that is not a Patsy Thompson Designs product. The good news for you is that all this non-PTD inventory is 40% off the MSRP! Once it’s gone, it’s gone, so please scoop up anything that catches your eye! 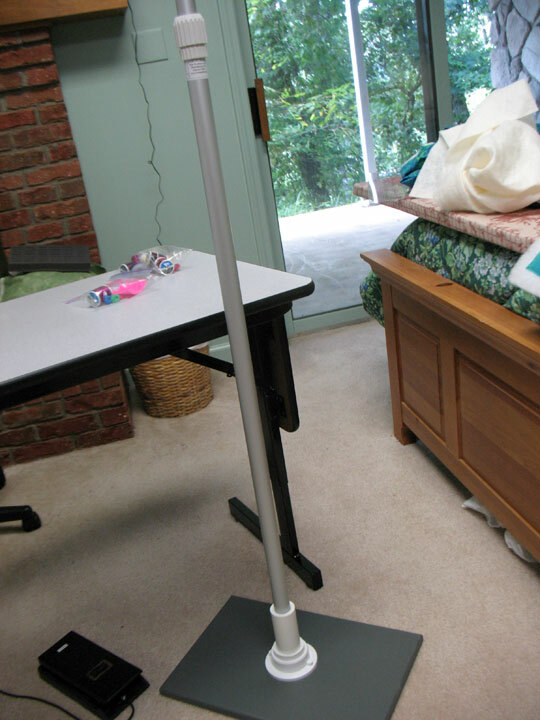 Fabric, thread, batting, notions, etc…it’s all on clearance starting NOW! To obtain this discount, you’ll need to enter the discount code CLEARANCE during checkout. (Note: the store will only allow you to enter 1 discount code per purchase, so you will need to make 2 purchases if you are purchasing clearance items AND PTD products.) To all of you who have shopped in our online store over the years, thanks so much for your patronage and it’s been our pleasure to serve you! 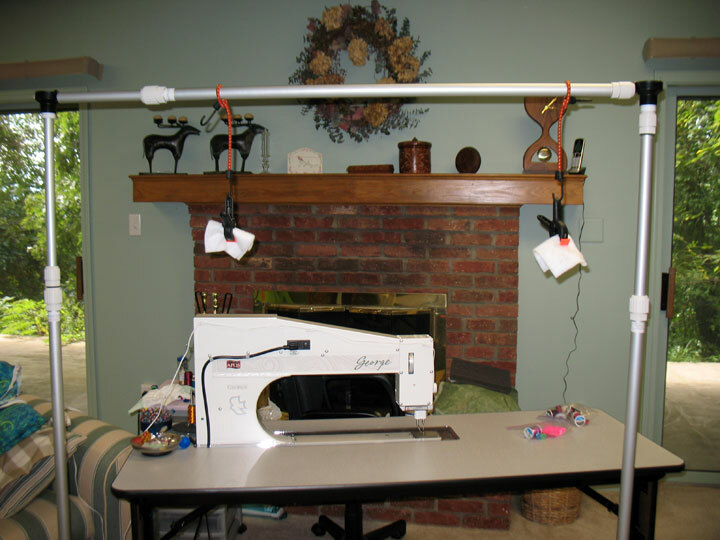 If you’re looking for a quilt suspension system that’s ready to go, you might want to try Jenoop Quilt Suspenders. 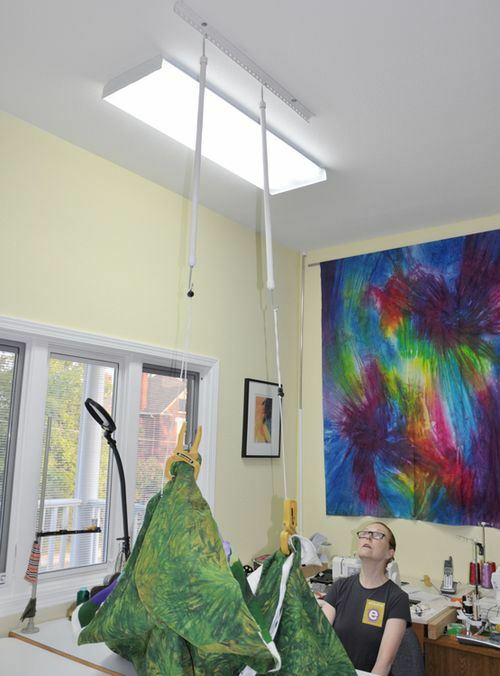 This company has ready-made quilt suspension systems (ceiling based or frame based) that are ready to go into action as soon as they arrive on your doorstep! You can find the web site by clicking here. 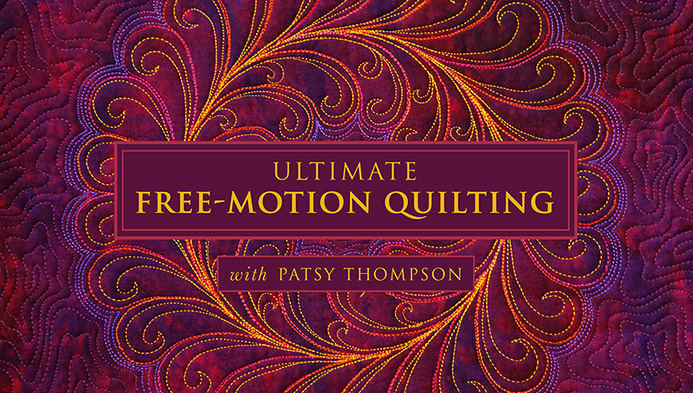 There are things that you can do that will make machine quilting easier and then there are things you can do that will be game changers in your free motion quilting life. 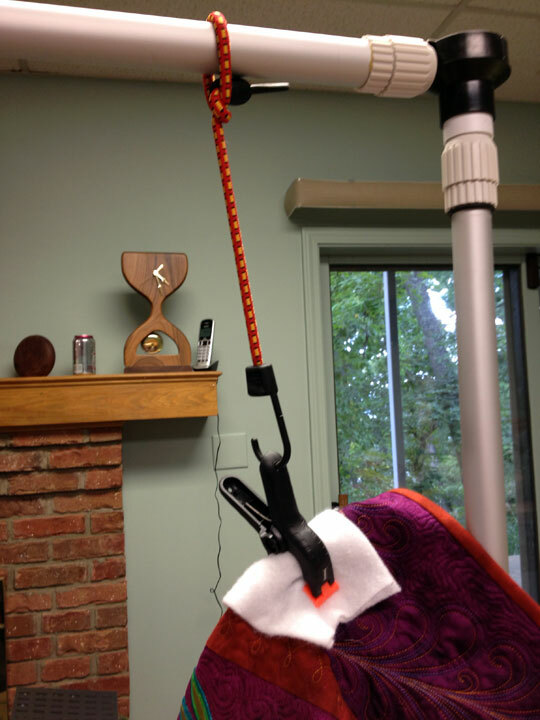 Suspending your quilt is a total game changer! 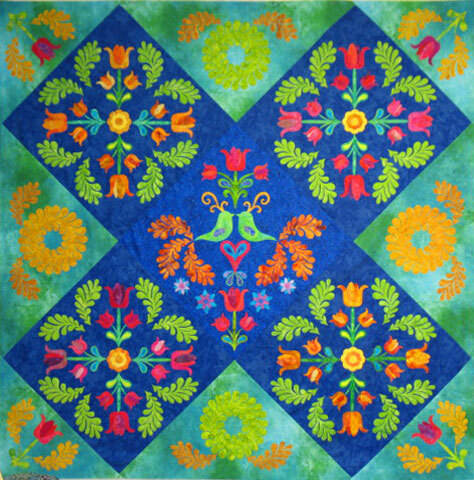 If you’re in the Asheville area this weekend, stop by the Asheville Quilt Show as it’s always a great quilt show. My demo is on Saturday at 3pm and it’s FREE!!! And one more thing…we’re having a sale on some of our threads and we’ve moved a lot into the clearance section of our online store. Sale prices are good through this Fri at 9 am EDST. To find out what’s on sale and what’s been moved into clearance, go here to read about it! 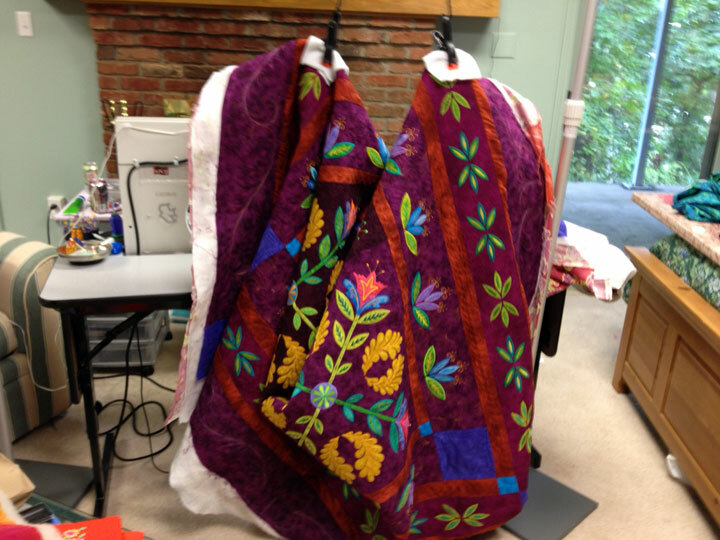 Want To Learn Some Cool Quilting Stuff? Woo-hoo! Craftsy is having another one of their great sales and this is your chance to sign up for some interesting classes to hone your quilting skills or learn about another hobby! 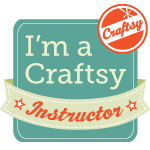 All Craftsy classes are up to 50% off from 9/18-9/22/14! Remember, if you’re tight on time, you can purchase a class now but not watch it until you have time. Each class is yours for life and you can watch it when your schedule permits! Click here to see what great Craftsy deals are going on during this sale! …and you can find it at an incredible price by clicking here.